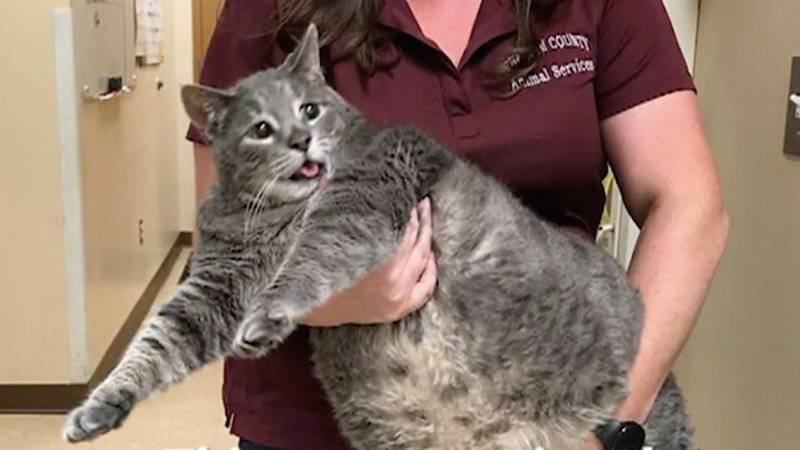 The North Carolina cat who was so huge he couldn’t fit into a standard cat crate at the shelter has found a home. The appropriately named Mr. Handsome was featured on the local news (and on Jezebel) and became so popular they had to institute a lottery for prospective owners. One very lucky person has won his squishy paw. WNCN reports that Angela Frazee of Fayetteville brought Mr. Handsome home from the Chatham County Animal Shelter on Friday. While his adorable roundness is a big part of his appeal, Frazee is going to try and help Mr. Handsome lose some weight. Vets suspect his issue is a health condition and will be running tests, but he’s already dropped almost three pounds just chilling in a cabinet, so it’s possible his previous owners were overfeeding him.